When it comes to storing your belongings, Self Storage Plus provides you with the solutions you need. Our self storage rentals in the White Oak area of Silver Spring, MD offer plenty to choose from – including a wide array of unit sizes, storage types that you want, and quality features that matter. Take advantage of climate-controlled units, perfect for temperature-sensitive items like furniture, electronics, paperwork, and photos. These units are cooled in the summer and heated in the winter to avoid exposure to extreme temperature changes, which can degrade your items over time. Looking for the convenience of a storage space you can pull right up to for easy loading and unloading, we have drive-up access units. Have an RV, boat, or car that needs a trusted storage space? Our gated outdoor parking will fit the bill. Whether you are storing personal or business materials, we have the solution for you. Finding your next storage unit is easy at Self Storage Plus. Your items are secure with us with 24-hour video surveillance, keypad entry to our building, gate and elevator, and a resident manager who lives onsite. You will be able to access your storage space 365 days a year, between 6AM and 10 PM, and will benefit from wide drive aisles, plentiful parking, convenient loading areas, and large freight elevators. 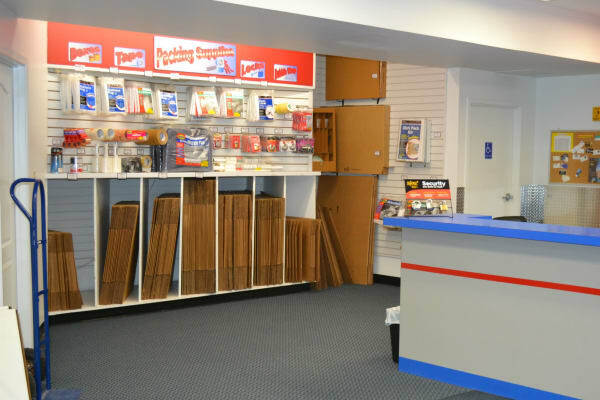 In addition, our staff of dedicated storage professionals have office hours 7 days a week to assist you whether you need help determining the best storage unit for you, want to purchase boxes or packing supplies, need directions to our property, or just want to drop off a payment. They are here every step of the way to ensure your storage experience is hassle free. When you rent with Self Storage Plus, moving day is a breeze with free one-time use of our move-in truck, and we also have dollies and carts available onsite. Locally owned and operated, let us show you storage done right in White Oak. Contact our knowledgeable staff today.